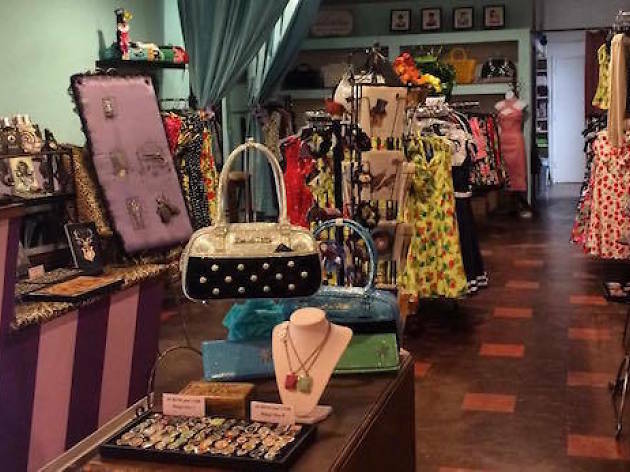 The retro-inspired jewelry and accessories found within this Alice in Wonderland-esque boutique are all designed by owner Karyn Cantor. Marrying affinities for Art Nouveau, Art Deco and DaDaism, her unique collection contains such baubles as choker necklaces embellished with doll eye brooches, seahorse dangle earrings and pendants bearing the likeness of Frida Kahlo. 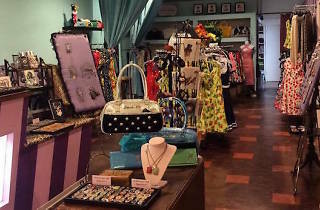 Each piece is fashioned with vintage sensibilities and a sprinkle of humor. Peruse the designs in Cantor's online store.